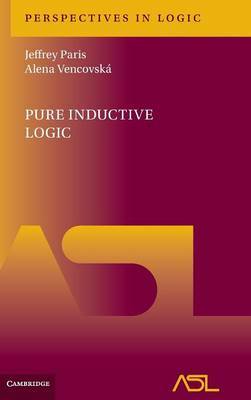 Pure inductive logic is the study of rational probability treated as a branch of mathematical logic. This monograph, the first devoted to this approach, brings together the key results from the past seventy years plus the main contributions of the authors and their collaborators over the last decade to present a comprehensive account of the discipline within a single unified context. The exposition is structured around the traditional bases of rationality, such as avoiding Dutch Books, respecting symmetry and ignoring irrelevant information. The authors uncover further rationality concepts, both in the unary and in the newly emerging polyadic languages, such as conformity, spectrum exchangeability, similarity and language invariance. For logicians with a mathematical grounding, this book provides a complete self-contained course on the subject, taking the reader from the basics up to the most recent developments. It is also a useful reference for a wider audience from philosophy and computer science.